In conversation with Laurie McAllister, Director of ACTRA Performers’ Rights Society and Recording Artists' Collecting Society (pictured left) and Theresa Tova, ACTRA National Trea$urer and ACTRA Toronto President (pictured right). It is important we examine any changes that can affect how we get paid. To define our market value as performers, it is important we examine any changes that can affect how we get paid. In 2016, I wrote a story for ACTRA Magazine entitled, “Show me the Money,” which illustrates payment models and how they work. Building on this article, this interview with ACTRA PRS and RACS Director Laurie McAllister will help us better understand the challenges we face in the digital age. Laurie: With so many more players emerging and competing for audiences, we’re seeing more content being produced. The positive is there are more work opportunities for performers. Just like in the traditional, linear TV model, each production is different depending on its scale, budget and audience, but there is no inherent reason for content to be devalued just because it’s exploited on a non-traditional platform. How far along are we on the trajectory of shifting from conventional to digital consumption? Digital consumption is going up and conventional is going down, but people are still watching both. Audiences expect access to all content digitally, even if it’s available on linear television first. Indicators show high-budget series on conventional television still have traction and value. There continues to be a downstream market for large-scale productions so we still expect to see backend revenue. To be clear, is the income we, as performers, derive from conventional still the majority of the money we are making in the backend? Yes, income from productions made for conventional platforms still account for the majority of performers’ income. Because of the way our prepayment and advance payment systems are structured, the payments we are collecting now are attributed to productions made four or five years ago. It will take a few more years for us to have a better sense of the long-term impact of the digital shift, if any. We are working to future-proof our Use fees to maintain proper value in performances. Do new players coming into the marketplace, like Amazon, Netflix, Hulu and Crave, present challenges to getting the same level of revenue in the backend? ‍They do. Service providers like Netflix hold the content for a longer license term than was typical for conventional TV. Part of the value of those services is having access to a mass inventory of content. Their license terms are 10 years, 20 years or perpetuity, which creates a challenge for both tracking payments and determining fair market value. What we are hearing from some producers, anecdotally, is that downstream markets are declining as is their backend. We are working to future-proof our Use fees to maintain proper value in performances. 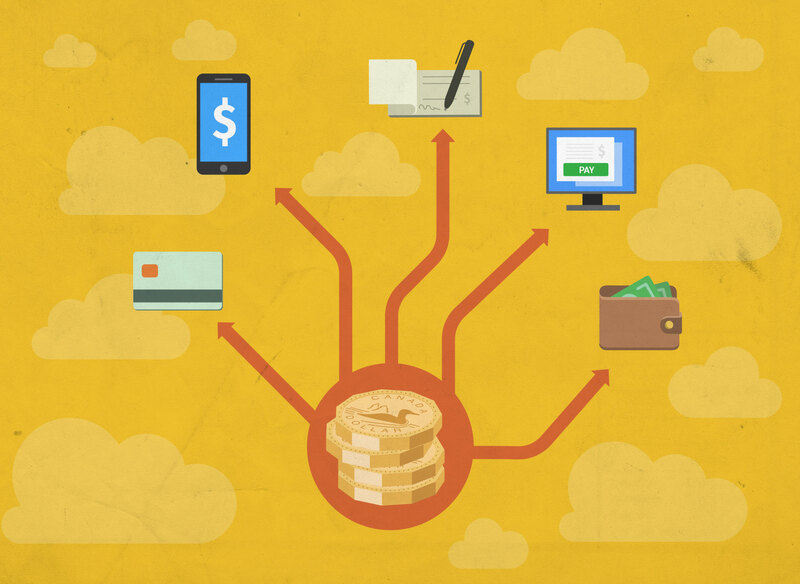 In 2015, we distributed $14 million to performers from monies we had collected in the backend. And two years later, this dropped to about $12 million. Does that indicate a downward trend? Fourteen million dollars in 2015 was a great year but we have to account for the anomaly of The Hulk. That one production alone brought in $1 million. The following year we collected $12.7 million and the year after that $12.4 million. So, while there was a marginal decline, it was not so material that over a sustained period of time we would consider it a downward trend. So, the total collections are steady, but how is the mix changing for individual performers? Every project is different. While our aggregate collections are steady, they represent a higher volume of productions. Ultimately, this may become a volume business, however, some performers are still making a lot of money on the backend of high-grossing productions. There’s more content, the aggregate collections are steady, but what we are making on individual projects might be declining. With these new distribution models, is the mix in the aggregate changing? A higher volume of productions bringing in the same amount of money indicates we’re not collecting as much per title; however, we are also collecting on older titles, which do not bring in as much money as newer titles. How we structure things going forward is the big question. On a per production basis, we must ensure performers continue to be compensated fairly within the new distribution models. We now have access to more international markets and receive collections from when our work is being shown globally. How does this impact us? ‍There is definitely more content being seen globally. The way it is being distributed is a bit of a question mark as we now see service providers like Netflix taking worldwide rights on a production for an extended period of time -- that’s a change to the traditional distribution model. Do the over-the-top (OTT) folks such as Netflix respect our agreements? At their core, OTT services are disrupters. They’ve disrupted the industry with a different business model, so we have to work with OTTs to make sure they administer the agreements the way the agreements were intended. We’ve met with various OTTs over the last two years and we are developing a relationship with them just as we have with traditional studios. Netflix is investing more in Canada. At first glance, it appears our performers have more opportunities to work. Absolutely. The number of Netflix productions in Canada has grown substantially over the past two years. 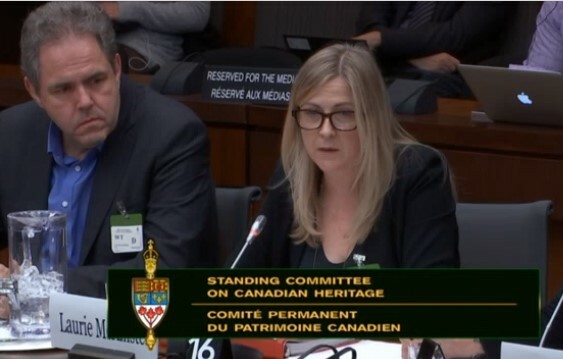 ACTRA President David Sparrow and ACTRA PRS/RACS Director Laurie McAllister speak up for Canadian performers about copyright before the Canadian Heritage Committee. Performers need to be compensated for the economic benefit and value they create. But are we seeing the same prepayments or advances as we did with conventional TV? With any shift, we need to educate and help new players understand the responsibility they have to our performers in the ongoing participation and distribution of performers’ work. Since 2007, we’ve said you don’t get performances on the Internet for free. Performances hold value and we need to be diligent in continuing to impress this upon producers and distributors. Performers need to be compensated for the economic benefit and value they create. If there was no value in these performances, these productions wouldn’t be sitting available on these services for years upon years. In the next five to 10 years, how do you think we’re going to ensure our performers get fair pay for the Use of our work, after the initial payments? Through strong provisions in the IPA and in the Canadian Copyright Act. The Federal Government has tasked both the Standing Committee on Industry, Science and Technology and the Standing Committee on Canadian Heritage to review the Copyright Act and ACTRA has presented to both committees. Canadian Heritage has specifically been tasked with looking at remuneration models for artists. We are asking the Act to recognize copyright in audiovisual performances and that these performances do have value, which will underpin our bargaining efforts with producers. Extending copyright to audiovisual performances would also give us reciprocity with international collectives, opening the door for Canadian performers to receive equitable remuneration from territories around the world for the Use of their performances. We’ve got a lot of work ahead of us.